REMINDER!!! As the weather turns colder, it is important that students dress accordingly! Please ensure your students come well prepared to be outdoors during recess. Pants, coats, and other cold weather gear will be required! It was a pleasure to see so many of you at our recent Open House. Family and community are incredibly important to us here at Pioneer and we love every opportunity we get to open our doors and welcome everyone in to see what amazing things our students have been up to! As we venture into October, classroom expectations, procedures and routines have been established. These are incredibly important within each classroom as they form the foundation for a smooth running classroom environment in which students are comfortable, secure and ready to learn. In an effort to maintain the optimal learning environments for every student, our team would like to ask that students refrain from bringing fidget spinners to school. They have quickly become a distraction and problem both in the classroom and out on the playground. Moving forward, fidget spinners will be confiscated and parents may come in to retrieve them from classroom teachers. Thank you all for your understanding and attention to this. Pioneer continues to recognize that the most important component of a good school is the partnership that exists between the school and parents. It’s critical that we work together to ensure our students’ success. 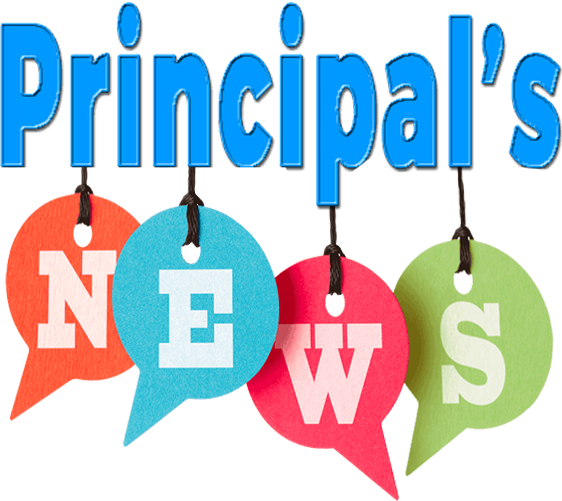 During the last week in September, notice went home regarding our new data driven instructional method, RTI. Our team is very excited for the opportunities that these new intervention methods will provide for each of our unique young learners. Please take the time to review all of the information and let your student’s teacher or myself know if we can answer any questions for you. We look forward to another fantastic and busy month! We hope to see all of our Panther community at are upcoming events. is on its way! It was wonderful to see so many of you at our Open House. We really appreciate you taking the time from your busy schedule to show your child that school is a priority. The children were excited to show all their hard work! During September we focused on making your child feel welcome and safe at school while building our community of learners. We continue to work on a routine for our classroom making adjustments as we go; most children are settling into school and seem to be adjusting to kindergarten. Reading: Our main lesson focus for the month of September was identifying characters and setting in various read aloud books. We will also introduce parts of a story: beginning, middle, and end. Word Work: the class has been introduced to the following sight words: I, am, the, little, to, a. Please review these words with your child when reading at home. The easier your child can identify these words the easier reading independently will be for them. We are focusing on the concepts of print during reading (following words left to right, top to bottom, return sweep). It is important to encourage one-to-one match of spoken words to printed words. The last week of September the letter m was introduced. The class is learning the name, sound, and how to write it. Math: We have completed Topic 1: 0-5, Topic 2: Comparing Numbers 0 to 5, and Topic 3: 6 to 10. We have learned how to compare groups of objects to see which group is greater than, less than, or equal to. October is going to be a busy month in 1st grade! We are busy learning all about addition and subtraction in math, and the students will be working more and more on writing and solving addition and subtraction sentences. In reading we will continue to focus on our weekly questions, high frequency words, and vocabulary, as well as word recognition and comprehension. Starting in the next couple of weeks we will begin a Writer’s Workshop, which will teach the students the steps of the writing process. During the Writer’s Workshop, the students will focus on grammar, capitalization, and punctuation. We have two field trips scheduled for the beginning of October. On Thursday October 5th at 10:30-2:00, the Kindergarten-3rd grade classes will be taking a trip to the J&K Farms Pumpkin Patch. On Monday October 9th at 9:00-10:00, our 1st grade class will be taking a trip to the Shepherd Fire Department. 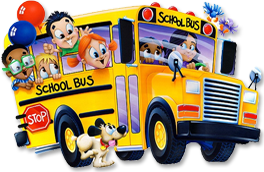 Please ensure that the permission slips for these field trips are signed and returned before the trip. I will also be asking for one volunteer chaperone for each trip. We are having a fantastic year in 1st grade! Phew! Second grade has made it through Topic 1 with flying colors! It was a rough start with all the excitement of the first month of school, but they are recovering well! Moving onto topic 2, second graders are going to test their knowledge in a variety of skills. These skills include adding with doubles, using doubles to add near numbers, adding in any order, adding three numbers, and making ten to add. Who knew there were so many ways to add!? The second graders will be adding superstars by the end of this topic! use estimation. These up-coming skills should prove to be no problem for the 3rd graders, as they are very hardworking, detail-oriented students. It’s Fall and we have a month under our belt. Both second and third graders are starting to get into a routine. We will continue to work hard and have fun together as we march into the cooler weather. 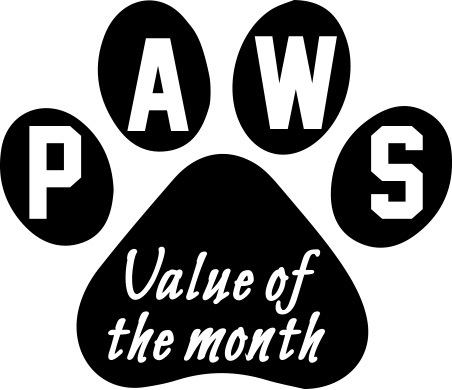 Many of the students have given and received PAWS cards for recognition of September’s expectation, Respect. In addition, students have given and received PAWS cards for identifying expectations listed on our Class Promise Board. We want to keep promoting good behavior as well as recognizing the positive behaviors of others. GO PANTHERS! October has a couple of field trips for our classes. We will be visiting the Pumpkin Patch on October 5th. In addition, we will be visiting Shepherd Volunteer Fire Station on October 9th, recognizing Fire Prevention Week. You will want tomake sure your students have their permission slips returned indicating whether they can attend. A parent volunteer slip was also sent home, as I am still in need of two chaperones for these exciting events. Class Dojo has been a useful tool for navigating student behavior. The students are individually working to get 20 points which will earn them a classroom water bottle. The whole class is working toward the goal of getting 1000 points which will earn them a class party! A lot of the students are nearing their individual goals! In science we are tracking and growing our own Great Northern Bean plants. This is the wrap up to our living things/parts of a plant chapter. learning dividing with 0 and 1. We will also be covering the relationship that multiplication and division have, and how to use that inverse relationship. After just 2 short lessons, Topic 2 will be over and we are headed to some more in depth division. They will also cover repeating patterns, number sequences, and geometric patterns. Fourth graders will definitely be busy busy! responsible and accountable for their work. It is up to them to ensure assignments are completed on time and weekly home work is turned in. 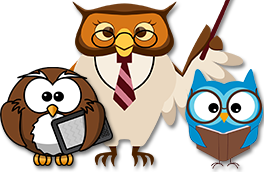 Your fourth, fifth or sixth grader should be reading a minimum of 20 minutes per night and filling in their AR Reading Log/Journal. This is due to me every Monday morning. You can track your students progress by logging into Planbook. As always, if you have any questions please do not hesitate to contact me! the third unit. 5th grade will be moving on from decimals to multiplication. 6th grade will be moving from variables and expressions to decimals. I will start assigning regular homework for 6th grade and 5th grade will have some homework as well. In science we will be moving on from learning about matter to exploring the many types of energy. We will be learning about electricity, magnets, and light. In social studies we have been learning about life in Colonial times. We have learned about the 13 original colonies. 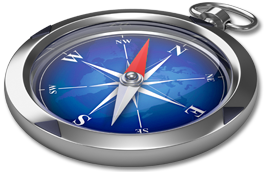 Where they were, what life was like, the economy, and interactions with Native Americans. In art we are finishing up the unit on the seven elements of art and in October we will be starting a unit on painting. We will start with water colors and then move on to acrylic paints. Students will learn the basics of the theory of color and different painting techniques. Oct. 28th Barnes and Noble fundraiser! stand, a Nook stylus, and Nook earphones. 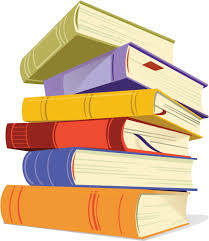 Once you have located your book then you will be able to easily ascertain the grade level and number of AR points for the book. If you have any questions, please don’t hesitate to call me. As always, I want to encourage all of you to read with or to your children on a daily basis for 20 to 30 minutes. Support your students by giving them the gift a reading, truly a gift that lasts a lifetime! We are still moving and shaking in PE. Students have learned the power of good sportsmanship, and how to be team players. They are now learning skills of activities that they can do individually. These include jump rope, frisbee, freeze dance, and yoga. On Wednesdays health classes are still learning about the body parts. We have covered several parts, so ask your students about a few fun facts that they might know! As always, feel free to contact me with any questions or concerns! 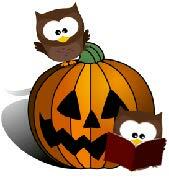 Have a great October! Pioneer PTA has hit the ground running with Hot Lunches every 1st & 3rd Wednesday, along with Pizza every Friday. We want to extend our appreciation to all the volunteers who help make this possible. Completion of the Blue Coupon Book Fundraiser was met with success. This is one of our 2 major fundraisers the PTA does throughout the year. Keep your eyes and ears open for our next big one coming in November. Our PTA is proud to support Mrs. Burns in the upcoming trip for the Kindergarten thru 3rd graders to the pumpkin patch as well as assisting with supplies for all our teachers to help their classrooms run smoothly. A special thanks to those who joined us for cookies and conversation at the open house. We appreciated those who became a part of our team as PTA members. For those that couldn’t make it you are always welcome to attend meetings; membership enrollment is always open so feel free to stop in and join us anytime throughout the year. We look forward to a great school year! 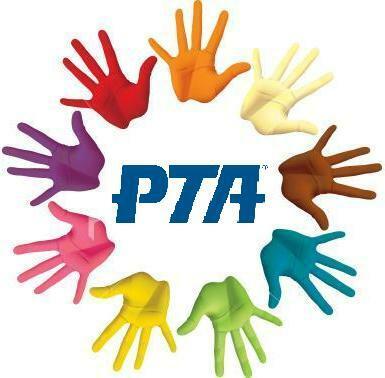 For more information check out our Pioneer PTA page on this website! Hello! Here at school, we have been very busy learning about acceptance – what it means, why its important and how to get better at it! Learning happens best when it is done both at school and at home. Below are many ways that you can help your child continue to learn about the theme of acceptance through reading about it, talking about it, and practicing it! We have really enjoyed exploring this topic at school, and we hope your family will enjoy it just as much!Read About It! Here are some books to help you learn more about acceptance. Together with your child, pick a few different foods, and try to eat them each with a spoon, knife and fork. Talk about what would happen if we only had forks? Knives? Spoons? Use this activity to talk about how our differences make a stronger community. * What do you think acceptance means and why is it important? * Tell me about someone in your class that is different than you. How can your differences be a good thing? * What is one way that you can show acceptance at school? * Has anyone ever made you feel accepted? Tell me about it. * What would the world look like if everyone was the same? 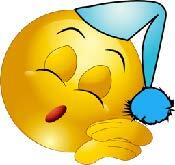 Sleep promotes growth – Growth hormone is primarily secreted during deep sleep. Sleep affects weight – There’s increasing evidence that getting too little sleep causes kids to become overweight, starting in infancy. Sleep helps beat germs – During sleep, children (and adults) also produce proteinsknown as cytokines, which the body relies on to fight infection, illness, and stress. Sleep reduces injury risk – Kids are clumsier and more impulsive when they don’t get enough sleep, setting them up for accidents. Sleep increases kids’ attention span – Children who consistently sleep fewer than ten hours a night before age 3 are three times more likely to have hyperactivity andimpulsivity problems by age 6.
impact a child’s ability to learn in school.